Micro-blogging service, Twitter, rocketed from being a niche market to a social networking service used by millions partially due to the abundance of applications that tweet. Unfortunately, the lack of first party or even approved third party twitter apps has led to confusion amongst new users. As a result, the once-unrestrictive company has changed direction by announcing new rules on how applications use the service and by introducing an official app. Developers may feel betrayed, but it’s a consequence that comes with basing an entire business model on another company’s platform. Twitter made headlines in April when they announced that it would enter the app market. 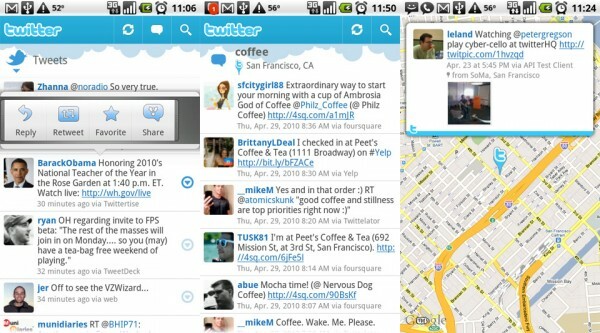 The company had acquired Atebit’s $3 Tweetie application and promised to re-release the app for free as “Twitter” for iPhone. 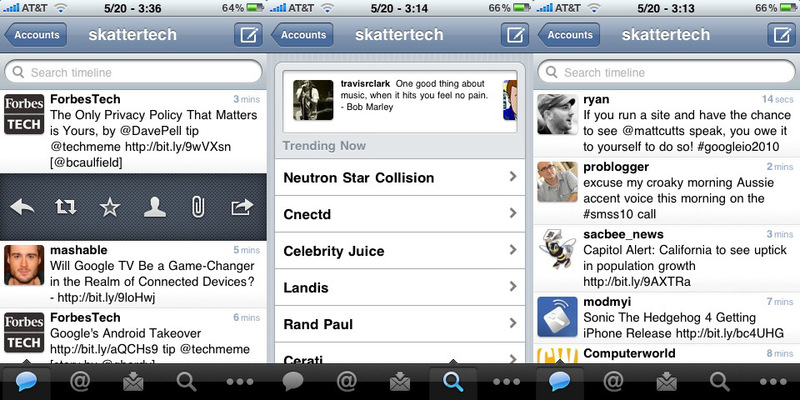 Both users and tech pundits considered Tweetie the best Twitter application for the iPhones and possibly one of the best interfaces to Twitter on any platform. It makes sense why Twitter purchased them. But another surprise came just a few weeks after this announcement when Twitter launched official apps for Android and Blackberry as well. Twitter, like any company, needs to make money and beginning to charge users to tweet wouldn’t have played out so well. As a result, Twitter started the “Promoted Tweets” program. This feature allows Twitter to take a share of the income from application usage. Interestingly enough, it is not limited to just the official app, meaning that any Twitter app used will rake in revenues for Twitter. The official Twitter app hopefully won’t hurt developers too much, since innovative and well implemented features can coerce users to switch apps. The intent was not to harm developers and applications, but just the opposite: to force developers to improve application features, rather than to stagnate. For example, “Twitter” for iPhone is a well polished app that offers more features than Twitter’s official website. To have a competitive edge, popular apps such as Seesmic and TweetDeck have already begun adopting support for multiple social networks, including Facebook. Twitter intends to persuade developers to use their official app as a baseline and to build upon it with a richer feature set. When asked about their iPhone plans, Twitter Platform team leader Ryan Sarver said that the multitude of apps were “causing mass confusion among user’s who had an iPhone and were looking to use Twitter for the first time.” Twitter’s official iPhone application makes it easier for first time users, who are likely going to search for “Twitter” to find its application in the Apple App Store. The Twitter app market can be divided into two eras – the pre and post “Twitter” for iPhone, Android, and Blackberry eras. Free apps prior to the official app lacked the polish of Tweetie and many of the other top-tier apps. The solution is now clear for most iPhone users: go get the official app for a great experience without ads. Users who want or need a more feature-rich experience can move on to third-party apps. Twitter has three main goals it wants to accomplish: offer new users a clear and easy option, encourage developers to keep improving their apps, and to create a profitable business model. Although third-party developers who helped build the service may feel betrayed and bitter, Twitter ultimately has to cater to itself and to its users. Twitter hopes to achieve a consistently improved user experience by disposing of the confusing in-app advertising and offering new and current users alike an improved app selection. Update 6/2/2010: Twitter has since changed its policy from when this article was written. Actual ads may no longer be embedded into the Twitter stream. Only the “Promoted Tweet” advertising model may be used, where Twitter takes a cut. There are exceptions, though — Twitter has stated this ban does not apply to advertising with Tweets or implementing ads outside the stream, so marketers and developers still have options. Twitter simply wants to keep non-tweet content out of a user’s twitter stream because they interrupt a user’s experience and may cause confusion. I don’t use any Twitter apps. I don’t use anything but a land line. I like to keep it uncomplicated and I don’t want to be attached to a phone 24/7. I LIKE being antisocial at least 12 hours out of every 24. I like Twitter, out of the box, I can find people and leave notes without trying to find their blog through the clutter in a feed reader. I often find people I had forgotten on Twitter and then I get to know them all over again. I don’t buy the whole “users will confuse ads for Tweets” line. If that were truth, then Twitter should ban all commercial accounts (individuals & companies) that tweet out ads, discounts and news about sales. There is no difference between those messages and a Sponsored Tweet that actually discloses it is an advertisement. I’d partially agree with that statement. While geeks know what they are doing, not everyone else does. I can’t possibly count the number of times people think a web browser popup is an actual windows dialogue box. Just like text-link ads embedded within articles, in-stream twitter ads probably also generate more revenue because users are more likely to click on one of them. It’s a perception that it’s real content and not just an Ad. actually there are no banning on ethical ads tweeting like adly , sponsoredtweets and be-a-magpie.. still waiting to see which type of ads will be banned. You’re right. That’s a distinction I should clarify when I say “in-stream ads” are banned it refers to only non-tweet ads. Paid tweets appear to be unaffected. were putting ads in the middle of a timeline. shoes, we are not going to be policing that any more than we were on Friday. ad to serve to Liz that will get inserted into the timeline she is viewing.